In Ireland, educators recognize the many practical applications of geography and mapping in today's society. Because geography is part of the national educational curriculum, students there must take courses where they learn how to interpret satellite and aerial photographs, perform spatial data analysis, and understand geographic change over time. 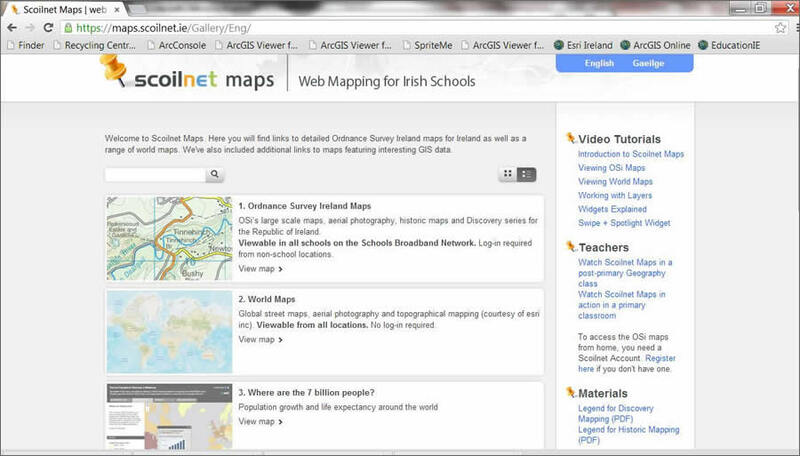 To help students meet national curriculum requirements, Ireland's Department of Education and Skills (DES) added a mapping section to Scoilnet (Schoolnet), the department's teacher resource portal. DES encourages teachers to integrate technology into their instruction, and the portal makes over 13,000 digital resources and online services available to them. 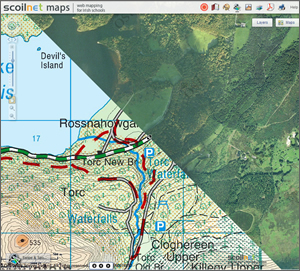 Recognizing the importance of mapping to the geography requirement in the Irish National Curriculum, Karin Whooley, Scoilnet's national coordinator, began to research how to include a cost-effective mapping module in the Scoilnet portal. Then she heard about Esri and its technology. "We had to find a new way to deliver all the mapping services and functionality teachers wanted at a cost that was economically viable," Whooley said. "I happened to be talking with a colleague in the Department of Environment and found out about Esri's ArcGIS Viewer for Flex. 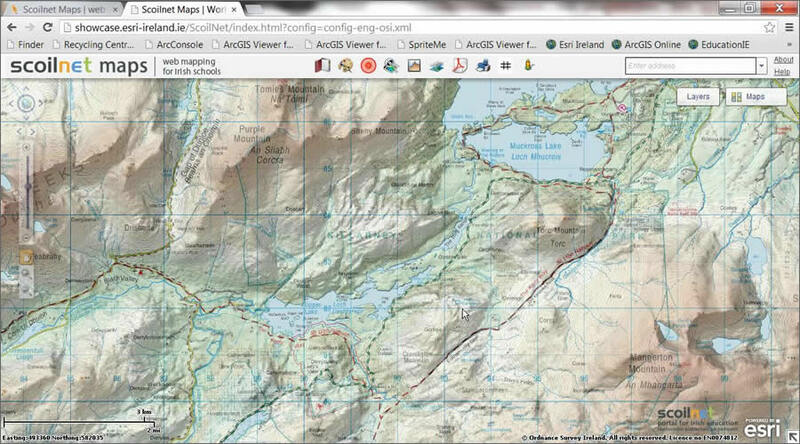 I immediately realized that this viewer, coupled with ready access to a wealth of free spatial data, was exactly what we needed to reinstate Scoilnet Maps." Because it uses Esri ArcGIS software, the mapping application gives pupils the opportunity to experience real-world technology and develop skills that will equip them for adult life. "Our new Scoilnet Maps service enables students to work with technology at the same level as that used in workplaces around the world and gain valuable skills," Whooley said. 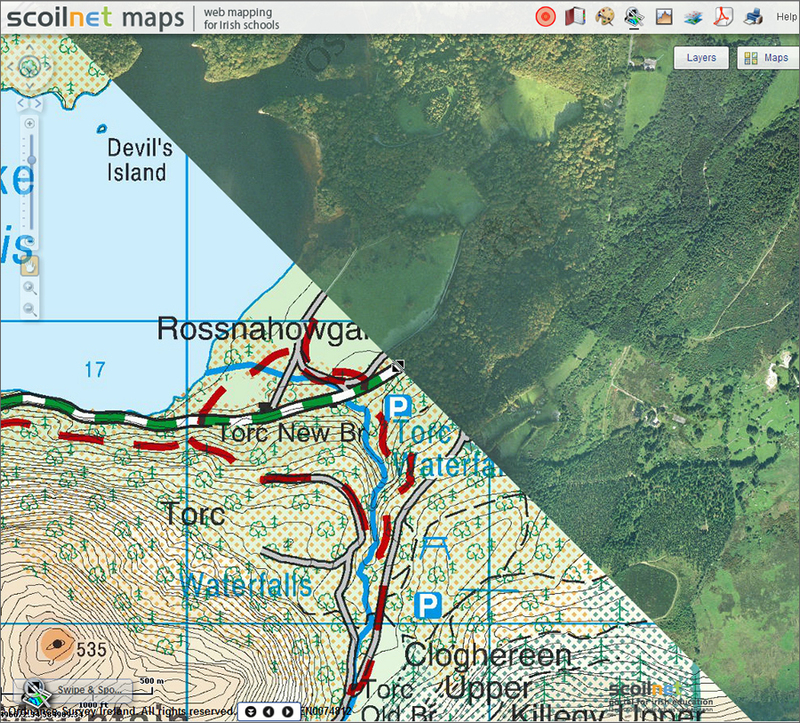 Scoilnet's previous map service was only available to the country's 723 second-level schools. The new mapping solution, however, is accessible to all 4,023 of Ireland's first-level (primary and special) and second-level schools. This means that up to 875,500 young people in Ireland now have the opportunity to develop a deeper understanding of GIS technology and geography. Whooley anticipates that Scoilnet Maps will be highly beneficial in primary schools, where teaching is topic based and can cross different subject areas. For example, a geography lesson where the students look at maps of the local area could incorporate math by measuring distances between locations and history by viewing different map layers over time. 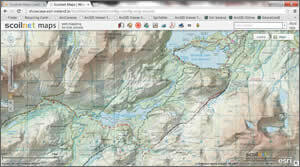 "For primary schools, the new Scoilnet Maps service is a gift," she said. "Teachers can engage pupils in cross-curricular ways that just aren't possible with printed maps."